DEBORAH POTTER, host: Faith communities across the country reacted this week to the acquittal of George Zimmerman in the shooting death of Trayvon Martin, an unarmed black teenager. Demonstrations against the verdict were mostly peaceful. Some ministers organized vigils to press for federal civil rights charges against Zimmerman. The president of the National Council of Churches said people of faith should join in a renewed call for racial justice. Joining us to talk about all this are Kim Lawton, managing editor of this program and the Rev. Romal Tune, founder of the non-profit group Faith for Change and author of "God's Graffiti: Inspiring Stories for Teens." Welcome. Romal, let me start with you, there were some very angry reactions to the verdict in the Zimmerman case and the president of the National Black Church Initiative said that it gave any white male who felt threatened the license to kill young black boys. What did you make of that reaction? REVEREND ROMAL TUNE (Founder, Faith for Change): Well, I think at the core of the anger, the root of it was sadness. The verdict really said to young African American males that you don’t matter and so that sadness and that continued rejection by society then led to the anger that then led to some of the behavior we saw in the communities. POTTER: What other kinds of reactions have you been hearing, Kim? 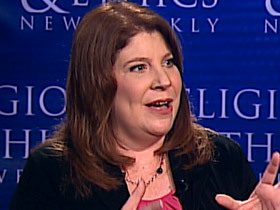 KIM LAWTON (Managing Editor, Religion & Ethics NewsWeekly): Well a mix, you know, as in society but I’ve been really surprised by the level of calls for conversations coming out of this and especially in the faith community there’s been seems like a real coming together of people saying we should talk about these issues, no matter what we felt about the verdict, we want to see a new dialogue in this country precisely to address some of the pain that Romal was talking about and some of the injustice and all of those divisions that persist. POTTER: Romal, what kind of dialogue could be productive now and what is the role of the faith community in stirring up that dialogue? TUNE: I think the dialogue that should be had specifically in the faith community is how do we really go about being this community of faith that is multicultural and diverse and equal but with that moving from the conversation and looking at action steps. We really have to address how we’re going to engage inner city youth and really meet the needs of the underserved. So, the conversation needs to be two-fold in terms of looking to identify how we can be more diverse and equal and embrace our differences but then also addressing the needs of teenagers in the inner city. LAWTON: And I was really surprised this week by some of the new voices I’ve been hearing in some of these issues that Romal’s talking about. Even in the Southern Baptist Convention, which is politically pretty conservative, race hasn’t been at the top of their agenda until recently but hearing from them calls, yes, for prayer, but also some of their leaders talking about engaging issues like the disproportionate number of young African American men in prison or on death row. Those are not issues you’ve heard from the Southern Baptist Convention a lot in many areas of it in the past and so it’s interesting how this particular case has spurred conversation but maybe some new action as well. POTTER: You know, Romal, one of the things that makes this difficult I suspect is the continued sort of segregation of Sunday morning, if you will. The fact that, you know, blacks and whites don’t worship together typically and so they don’t know each other in this context. Does that have to change and how could it change? TUNE: It definitely has to change. I think when we look at the Gospel and we look at what the kingdom of heaven really looks like. It is not segregated. The kingdom of God is inclusive. It’s culturally diverse. 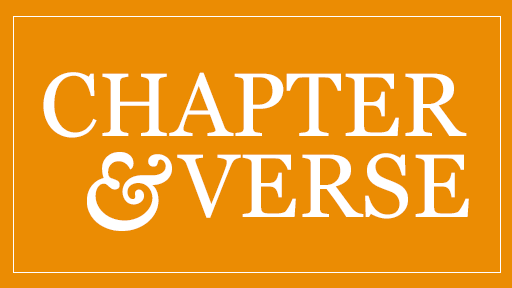 In order to overcome some of the issues we have now on Sunday morning we really have to address issues of power and leadership within congregations and what are we really perpetuating with the Gospel. Are we really seeking to be an example of the kingdom on Earth or are we unconsciously and perhaps in some ways consciously living in our silos. But it really requires some real hard conversations about race in this country. LAWTON: And some of those have to start with relationships, like you said. I did hear a lot this week, people saying that there aren’t enough relationships between communities where people can be honest and really address tough, tough issues and not just say, oh we’re all warm and fuzzy, but there are some deeper things that need to be addressed and you can’t start doing that if you don’t have the relationships. So I did hear a lot of new calls for that as well. POTTER: Romal, your last thought. Are you hopeful going forward? TUNE: I am hopeful. I think the Gospel calls us to be hopeful and it calls us to look at situations like this and answer the question of where’s the evidence of God in these situations. And that answer is in how we engage communities and how we meet the needs of hurting people so I’m always hopeful as long as that we know congregations are out there seeking to meet the needs of young people. POTTER: Thank you so much. Romal Tune. And Kim. There were demonstrations all across the country in reaction to the acquittal of George Zimmerman in the shooting death of Trayvon Martin, which has prompted a national discussion about race, violence, and justice. Watch our discussion about the religious community’s reaction with managing editor Kim Lawton and Rev. 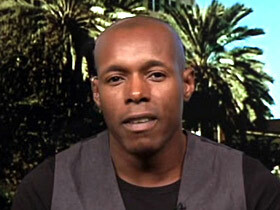 Romal Tune, founder of the non-profit group Faith for Change and author of God’s Graffiti: Inspiring Stories for Teens.